There they are. Twenty of them. Lined up on the shelf. I wonder how long they have been there? When were they actually made? Could they really survive a nuclear attack? I am talking, of course, about graham cracker crusts. They are thin, placed in those tinny shells and they do not contribute mightily to your pie. 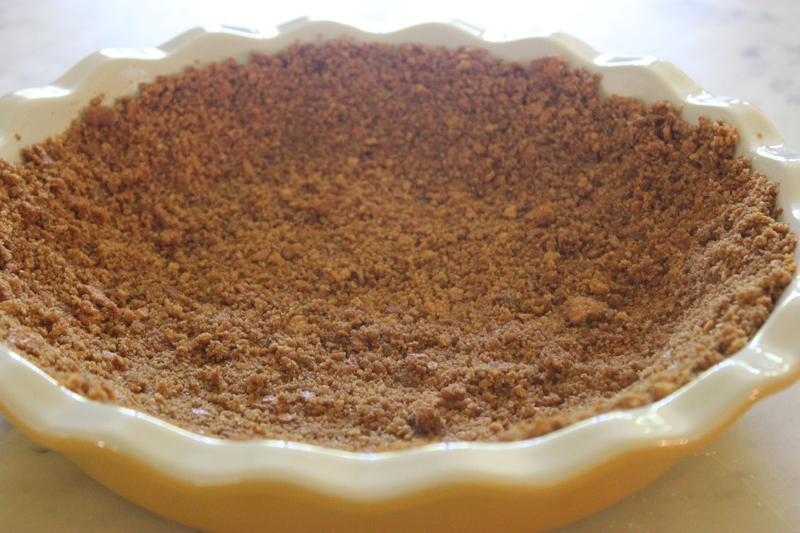 If you want a graham cracker crust, take just a few minutes and make your own. The brown sugar adds a bit of moisture to make it easier to press the shell together. If necessary, add just a touch of water to increase the adhesion as you press into the pie dish. Ken notes that if your dough really seems very crumbling and is not coming together by hand at all, then put 1 tablespoon of flour into the mix and add 1 teaspoon of water. Your crust should now be quite well behaved. Pie with a bad crust is bad pie. Oh, about Sylvester Graham, the Presbyterian minister, who invented the graham cracker in 1829. He was nice guy. A bit straight. The cracker he created was intended to be a health food, designed to reduce carnal lusts. [My pie lust, by the way, can be pretty high.] He used graham flour because he considered white flour to very bad for you. It’s tough to be certain at this point in time, but I think the good minister would not be pleased with those manufactured shells on your grocery store shelf. He’d probably like this one much better. If you like your crust really, really thick, then use 2 cups of graham cracker crumbs and 8 tablespoons of butter. Combine the graham cracker crumbs, brown sugar, cinnamon, and salt in a large bowl. Mix briefly with your fingers. Add the butter and incorporate well, mixing first with a fork, then with your hands, rubbing thoroughly to form evenly dampened crumbs. Place on the center oven rack and bake for 7 minutes. Let cool on a wire rack before filling. For ice cream pies and other icebox pies, refrigerate the thoroughly cooked pie shell for 10 minutes before filling.